At first glance, this headline probably does not make much sense. If you do any reading on 3D printing you will quickly find that these space-aged printers print objects, not words on paper. So how exactly does a machine that can build you a lampshade impact the professional translation service industry? Even more important than that, why is this subject a big deal right now anyway? Let’s answer the second question first. In 2014 a key patent on 3D printers is set to expire which will open up the floodgates for companies to start developing, manufacturing and selling this technology. Already there are quite a few companies marketing 3D printers, which are compact, cheap and does the work much better then their predecessors of only 5 years ago. (see, MakerBot as an example) This flurry of manufacturing and marketing activity will potentially bring consumer models to a technology store shelf near you and will drop the price of these printers as competition rises. 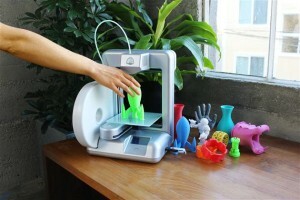 Next year is gearing up to be the start of the 3D printing era and more than a few companies will look to capitalize. Now how does all this relate to professional translation services? Easy enough, if someone starts printing a product for sale and consumption, naturally there will be the need for instruction manuals, websites, code books, even units of measurement that may be imperative to the printing of that 3D object. We all know that objects printed in one country likely will be printed in other countries and sold in other countries. All of that buying, selling and printing will lead to the need for marketing and technical documents associated with these 3D prints being translated and localized for the country the object will be printed in. Are you following where we are going with this? There’s a whole new need and sector that is poised to open around 3D printing and it is important freelance translators and professional services are ready to meet the need from the influx of demands stemming from specialized 3D printing software. We will be sharing some great articles and even a case study walking translators through the process of 3D printing and where translation services may be needed throughout the process. Watch the Link Translations blog (www.link-translations.com/blog) for more on the 3D printing boom and the impact it’ll have on the translation industry.